Cache Plugin – A cache plugin use specifically to speed up our web pages loading time, it basically creates static version of our website. 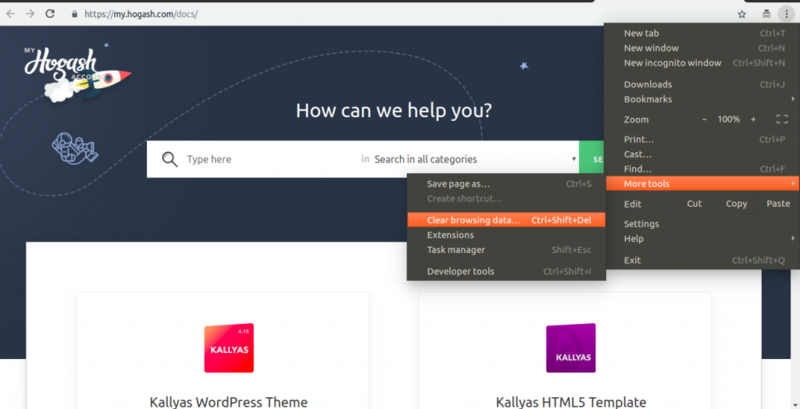 Caching causes a problem when we make changes in our website and it’s not shown the changes in front end, because it shows the cache data in that case we have to clear data from our cache plugin, and we have keep it disable until we have finished changes in our website. Server Cache – A server cache store on local network temporarily to recently requested information from the internet, it helps to speed up to load data and reduce the uses of an enterprise’s bandwidth. We have visited a lot of websites most of the time and browser cache store this date in hard drive which cause lot space uses which we don’t need to visit it again. There is a way to limit the maximum cache size from browser setting, however it still useful to clear browser cache data occasionally to speed up in loading time of web pages. Often we require making few changes in our website for design and development perspective to look our website more attractive and user-friendly, however when we make changes, and we don’t see the changes on front end of the web pages. The above mentioned point are common reason why we have to clear cache from several places. We may or may not clear these all. Let’s see the common area where we have to clear or purge cache. Click Remove Now in the pop up window that appears. For more details find Online Documentation here. Edge – Options (three dots), Settings, Clear Browsing Data. For more details find Online Documentation here. Some time we don’t want to clear browser cache data in that case we can simply press on f5 key. 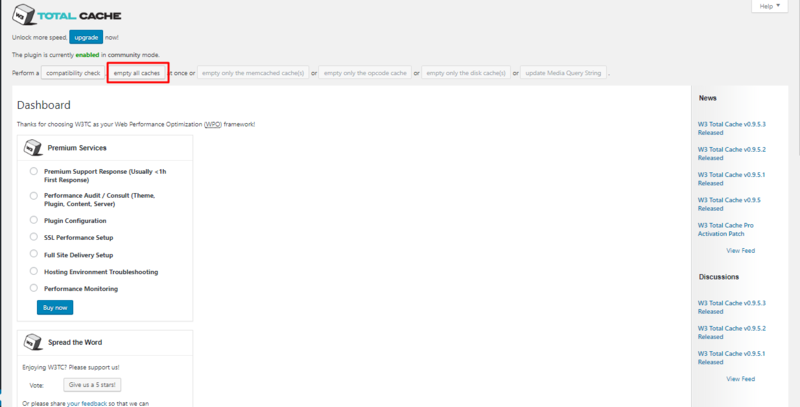 It will load our website without using cache file data. When we face problem in multiple browser or computer in that case we have to clear cache from cache plugin’s data. Actually cache plugin provide cache data to all the browser so that browser won’t need all the time to download the same data from the server. W3 Total cache has option to enable feature for Browser, Page, Object and fragment. We can customize it as well. We have to login WordPress Dashboard -> find there ‘Performance’ options and select it -> Dashboard -> ‘Empty all caches’ from the page. First of all we have to login through WordPress Dashboard -> Setting -> click on ‘WP Super Cache’ -> Click the ‘Delete Cache’ option from the page. 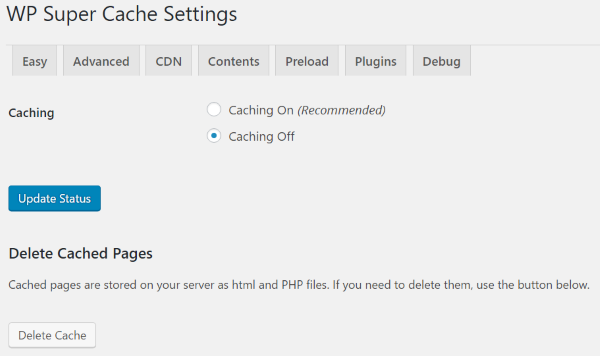 The WP Super Cache plugin has an option to delete cache manually or automatically, so we can choose one of theme and for the manual method we have to click a button on its main Settings screen called Delete Cache. 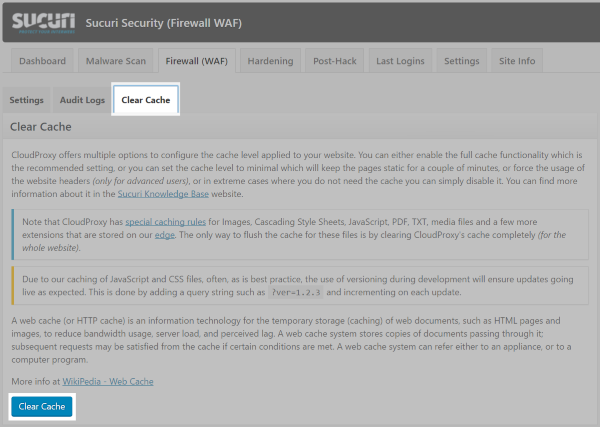 Sucuri uses cache for its firewall features. To clear this cache go to Performance -> Clear Cache – Global in Sucuri Firewall’s settings. Then click the Clear Cache button for more details please visit on this link here. There is possibility your host provide is using cache plugin without informing you, if you are using manages hosting there will be high chance to use server-side caching. Now the point is how we can clear server side-cache ? So we can clear it in our host’s options settings, also we can find these setting in cPanel or admin panel for the hosting provider accordingly. But always keep in your mind server cache we cannot clear through WordPress.